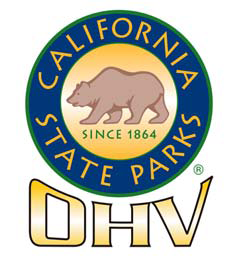 The OHMVR Commission meeting in Tracy, CA featured the final opportunity for comment on the Draft General Plan and Draft Environmental Impact Statement for Carnegie SVRA. The original 1500 acre park has been expanded with land acquisitions of about 3400 acres -- over 15 years ago. The state mandated general plan is in the final stages. The combination General Plan and EIR is a “programatic” document. A “programatic” document provides guidelines for how the SVRA will be managed to support the mission of the OHMVR program — provide OHV opportunity in a responsible and sustainable manner for current and future generations. Public comment covered more than three hours with the expected vitriol from Sierra Club and CBD and others — a lot of emotion and a lot of non-relevant facts. What is clear, people do not understand the purpose of a general plan nor the CEQA process. CEQA - California Environmental Quality Act applies. While similar to NEPA (National Environmental Policy Act), CEQA requires impacts to be disclosed. It does not require analysis and mitigation alternatives. The emotional slant ignores that specific legal tenet that the focus of the general plan/EIR is towards the management of and SVRA. At this point in time, the Commission needs to hold a public hearing and certify and adopt the general plan. That starts a 30 day appeal clock. Provided protests are resolved and there is no litigation, the implementation of the plan can begin. The Division will review public comments received and incorporate any substantive comments in the final document. The Commission will review, certify, and accept the final document at a future meeting; expected within 6 months. There has been good volunteer response from Carnegie Forever and Bay Area Riders Forum, along with a few others. Bureaucratic steps are being followed.